Read this to get started! If you’re new to marathoning or to Marathon Essentials, I want to make it easy for you to find everything you need to know to get started and train on your own. I’ve included some of my best and most important content for you, such as how to pick your running goal, creating a training plan that works for you, what you’ll need to gear up for training and much more. I am excited to help you succeed in achieving your goals and I’m here for you to answer your questions, so let’s get started! Think you’d never be able to run a marathon or don’t have the time? Can you…walk for 30 minutes? Spare an hour a day? Then you CAN train for a marathon! Find everything you need to do it on your own and become a marathoner, right here. I’ll be with you every step of the way, giving you training advice while you are on the go, so what are you waiting for? You really can train for a marathon! I’ll never forget my first marathon. I ran with blind people, very old people, very young people, people with artificial limbs, people in costumes and people with cancer. They were an inspiration! I had no excuses. It is not about physical speed or strength. The marathon is 100% mental. Grit, moxie and moving forward when nothing is left, these are all hallmarks of the marathon. It doesn’t matter what your abilities or availability are. Decide to do this and you WILL. You may not be fast, you might need a longer training plan, you might be sore and you might have days when you want to quit. But, I believe in you, and I believe you can be a marathoner! The wonderful thing about running is that it can pretty much be done anywhere at any time with just yourself. Sure, it’s very nice to have company. But the bottom line is that you are busy, so you need to train when it works best for you. I’m here to help you work through how to train in the most efficient ways to fit your life (whether on the treadmill, in the wee hours of the morning or with a running stroller!). The best part – the content is designed so that you can learn about training while you’re on a run or on the go. 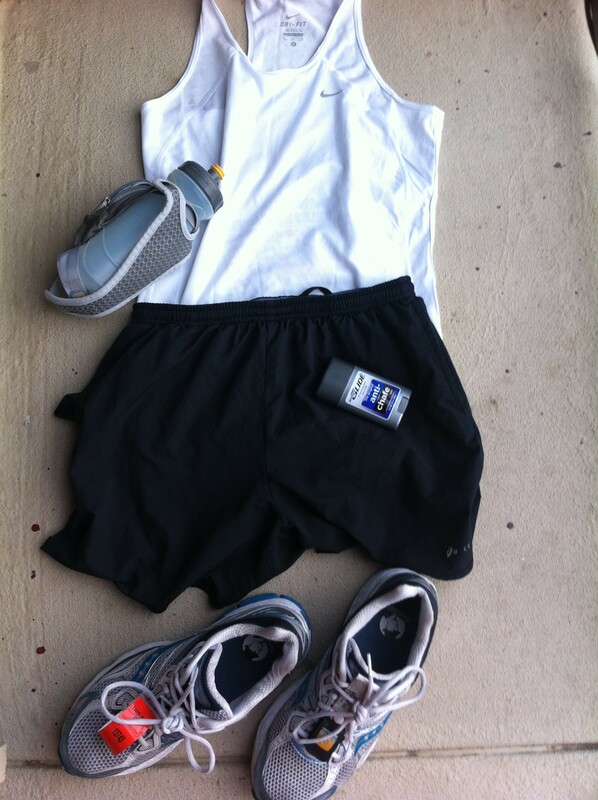 Marathon Essentials is your comprehensive resource for marathon training on your own. I will walk you through how to assess your level, determine your running goals, what gear you’ll need, how to create a training schedule that works for you, tips on technique, safety and injury prevention and staying motivated. If you can’t find the answer to your question, just leave a comment with your question or contact me. We will learn together! I’ll be here for you every step of the way. Still, training is hard work. You will experience frustration and lots of soreness! Some days will be amazing. On other days, you will want to throw in the towel. Hang in there with me, and you won’t regret it! As with any new exercise regimen you should consult your doctor before commencing. Try to find a sports medicine practitioner who has run marathons themselves. Why? It’s important to understand any underlying conditions. It’s also good to get a baseline (including VO2max, if possible) to see how your health improves as a result. But most importantly, it’s important to find a health professional who is versed in the latest research and who will support you in your goal. Marathoning can come with war wounds along the way, so you want your doctor on your team. This will be your road map for the specific workout you will need to do each day throughout your marathon training. It is important that you have a schedule that fits your current ability. There are lots of options for all ability levels as well as ways to modify these to suit your needs. If you’d like to know more, check out chapter 2 in the kick-start guide which covers in detail the different types of schedules, approaches and potential modifications. There is a myriad of marathon training gear. At a minimum, you will need comfortable running clothing and shoes, anti-chafing balm and hydration bottles. Start with the necessities and expand your gear stash as go. I will outline my thoughts on necessities in a future post explaining why each is important for training. On the gear page, you can find a more comprehensive list of recommended gear that you might consider, once you’ve committed to marathoning. Disclosure: I earn a commission if you purchase gear from the above links. 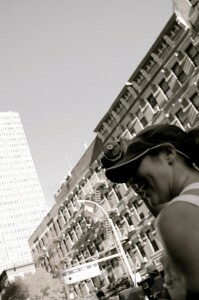 I only recommend gear that I personally use (or my husband/running buddies – if it is Men’s gear). If you choose to purchase through my link, thank you! If you find something better, please let me know so that I can share it with our community. Please consider subscribing to my newsletter, which provides quick pithy tips that aren’t available on the blog and allows me to interact with you directly. You can always unsubscribe (each newsletter includes a link), and I never send spam. As a special bonus, in addition to your newsletter, anyone who subscribes this month will receive free instant access to my kick-start guide. The guide is designed to walk you through step by step to start training for a marathon on your own. It is full of valuable exclusive content and can be listened to whenever and wherever you have time. To request it now, just enter your name and email below. 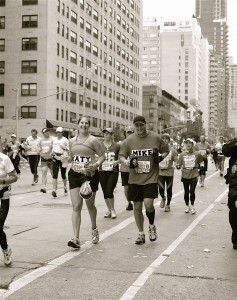 I look forward to being your marathon training buddy, and helping you train on your own. My hope is that this experience will encourage you to pursue those big goals in life that you may have put off. I’m not a professional runner or coach. I am, however, very passionate about helping people achieve their goals. Moreover, I’ve experienced first-hand how running can encourage people to do so. Thank you for your support and don’t forget to come by and say hello to me on Facebook or Twitter! Submit a question or topic suggestion to the podcast.